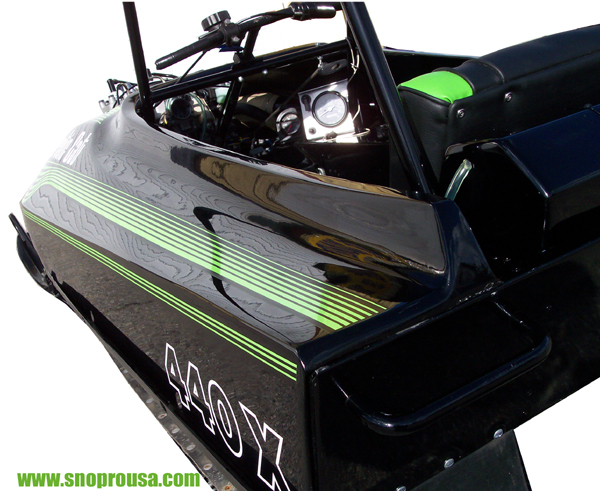 Decals: Frank Sadlon, E-Graphics LTD.
race sleds during the years 1974 to 1979.
to help create safer race sleds for the drivers in the professional circuit. R&D programs like this, eventually closing it’s doors in 1980.
retiring the 440X to the farm for personal enjoyment. in 2007 decided to sell it and call Jerry to see if he still had interest. 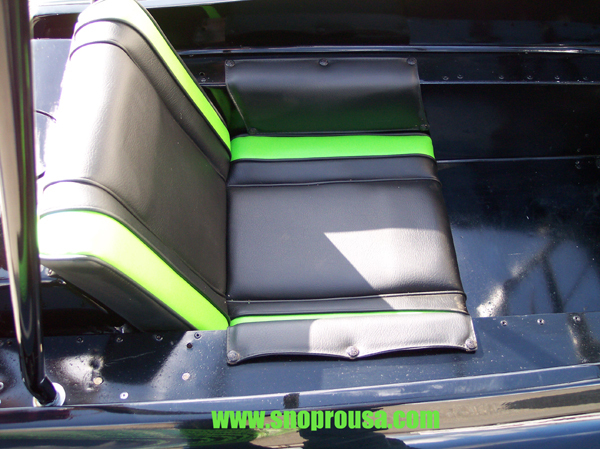 craftsmanship. Custom decals special ordered from Frank Sadlon at E-Graphics. 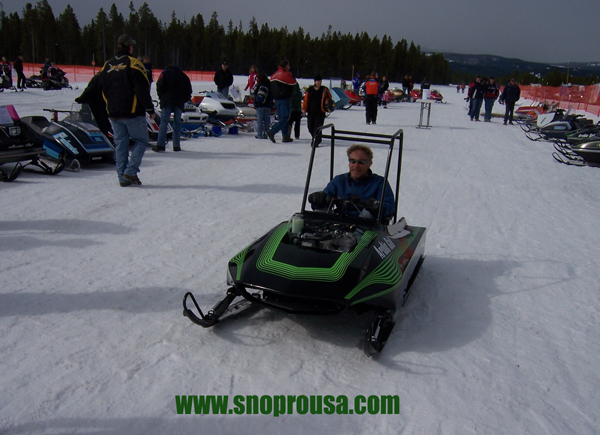 driver, Jeff Biddiscombe in West Yellowstone Montana. 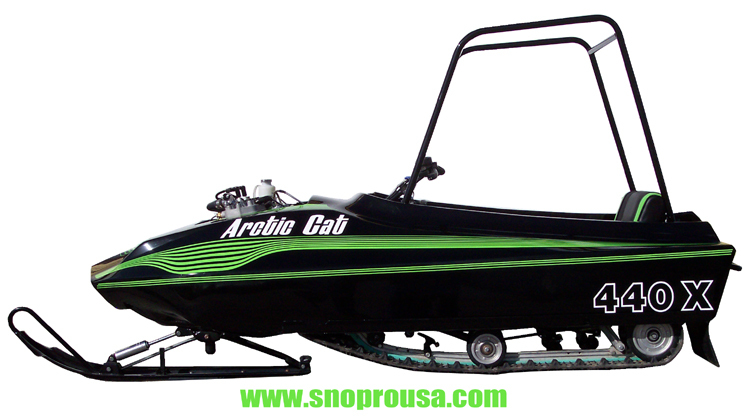 Friday March 12th, 2010 the Arctic Cat 440X arrives early for the show in West Yellowstone. 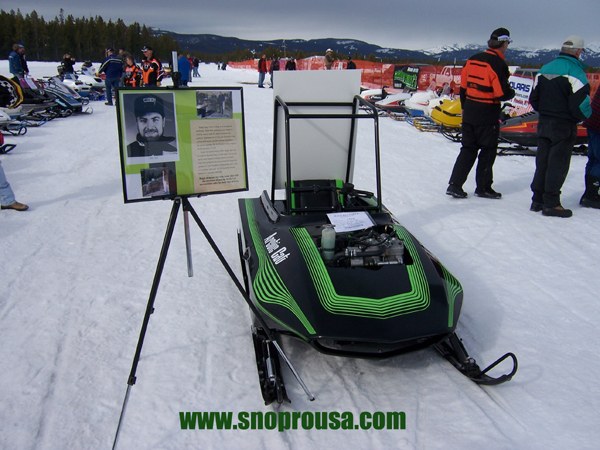 at the 7th Annual Vintage Snowmobile Roundup. 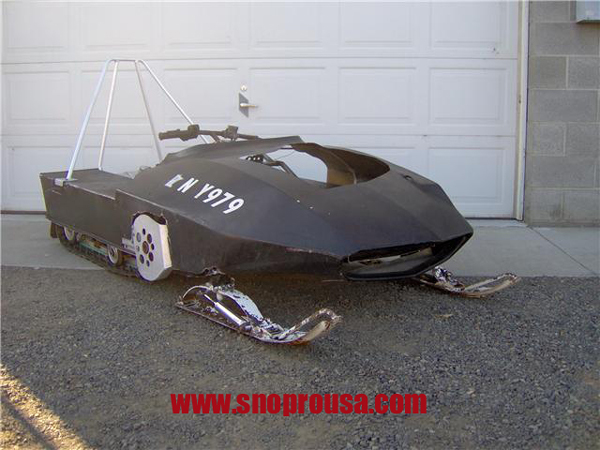 It received the WSVSA 1st Place Race Restored Trophy that Saturday in West Yellowstone. some fresh photos and roll the 440X back into the museum until it‘s next event. 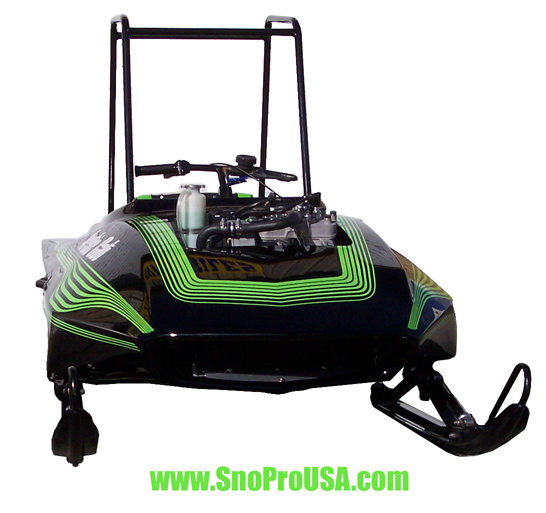 provide a fresh archive of snowmobile history and innovation. 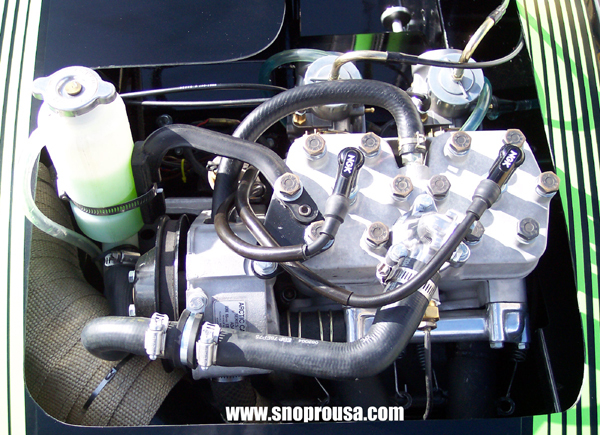 Roger Gage went to college and studied to be an engineer. He graduated in 1970. 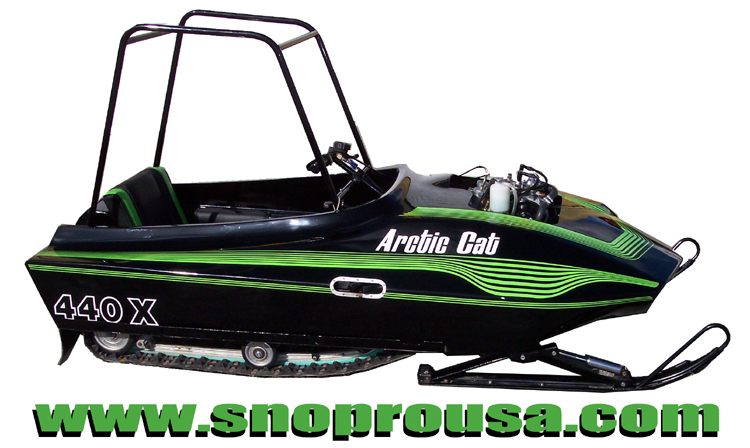 After graduation he went to work for Arctic Cat in the New Product Department. he became chassis engineer for the race team. 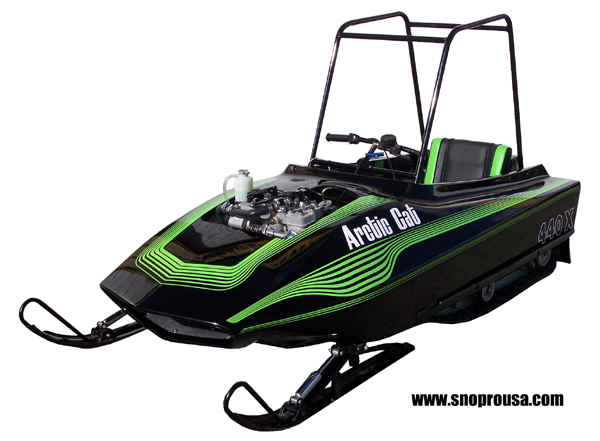 Two years later Arctic Cat closed down. 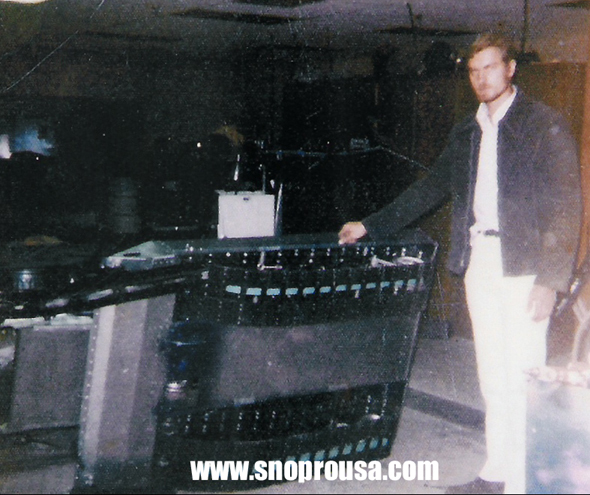 In 1980 Roger went to work for Bayliner Boats for a period of 9 years. 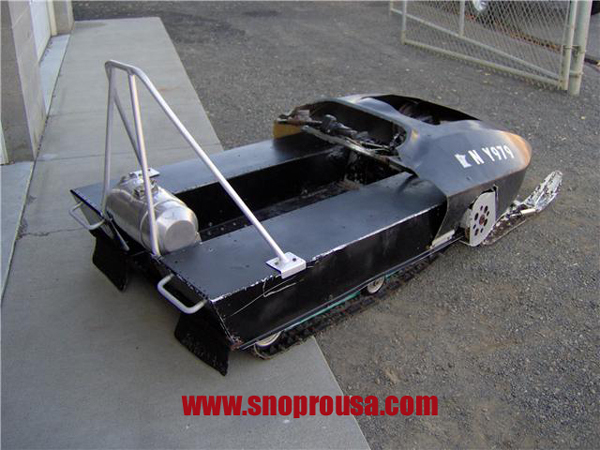 Roger also had his own business building custom car trailers. 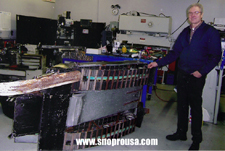 Next he went to work for Basketball Products as Vice-President of Engineering. The company sold to new owners back east. In 1990 Roger went to work for Boeing and maintains employment there currently. 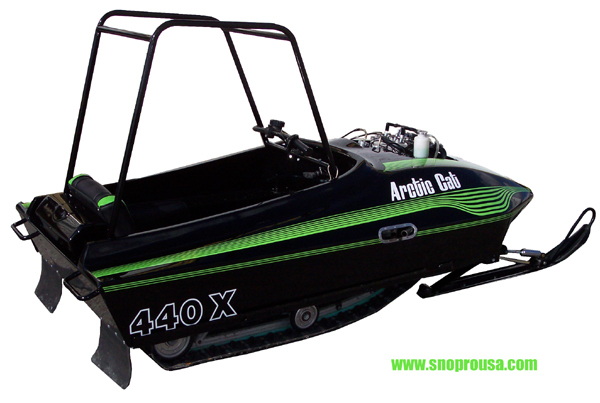 own innovations he engineered for Arctic Cat in the 70‘s. 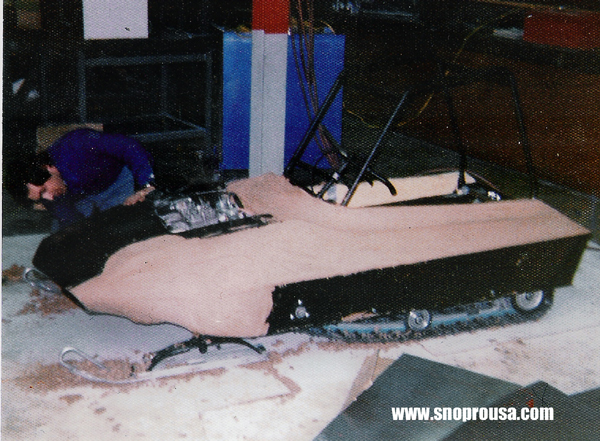 The Arctic Cat 440X Twin Track fiberglass fitting process at Thief River Falls in 1976. 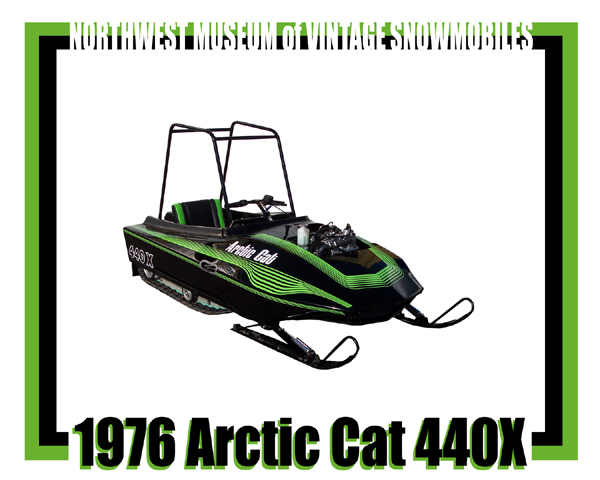 1976 Arctic Cat 440X when Jerry purchased it in 2009. 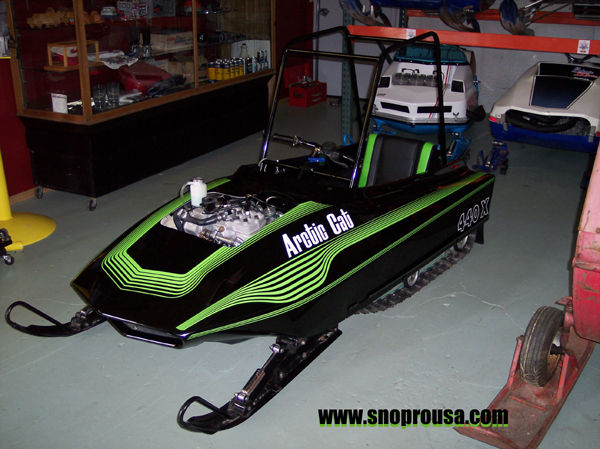 The Arctic Cat 440X had plenty of "DIY" Mods from 1980 to 2009. 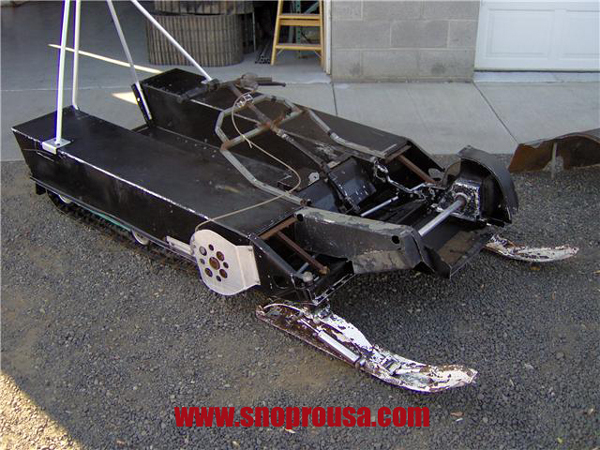 Plenty of mods to resolve damage showed this sled had seen a whole lotta fun on the farm. 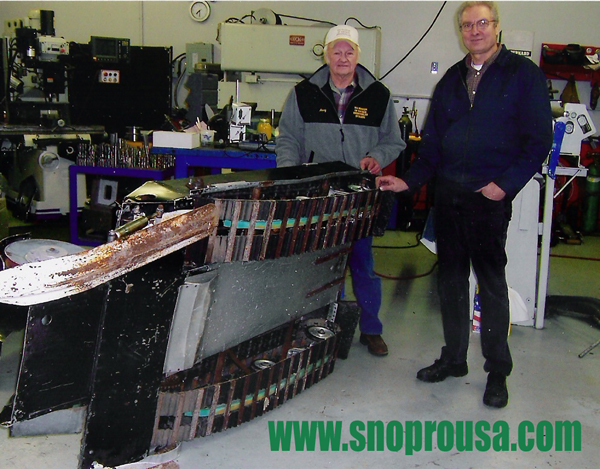 Jerry Kienbaum and Roger Gage begin the restoration January 2010. March 13th, 2010 in West Yellowstone, Montana. 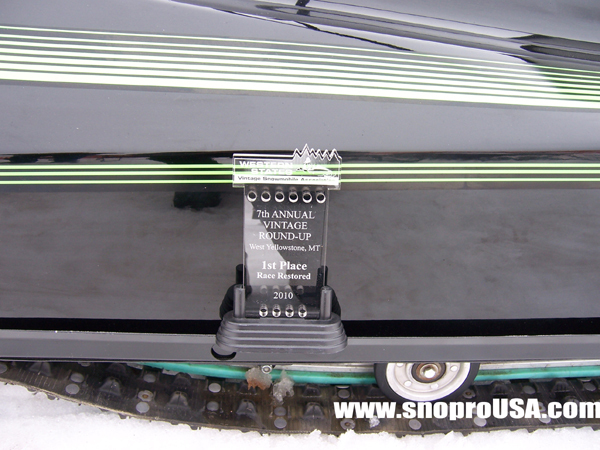 Jerry's display of the Arctic Cat 440X Twin Track at the 7th Annual Vintage Snowmobile Round Up. The display included photos of Roger Gage from 1976 and the restoration outline. 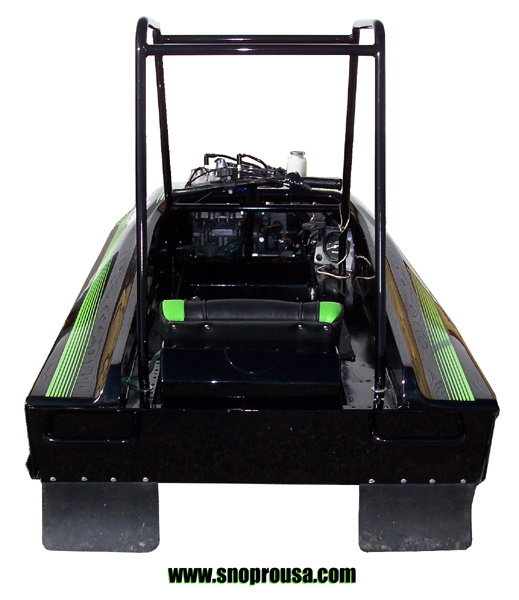 permits this sled to turn on a dime to the left. 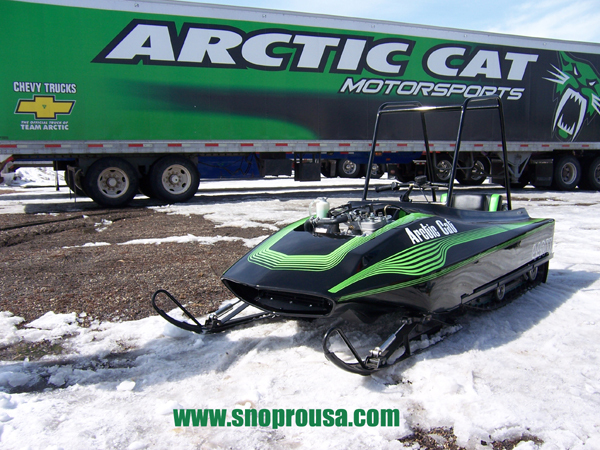 Epic photograph of the 440X in front of the Arctic Cat Semi in West Yellowstone, Montana. 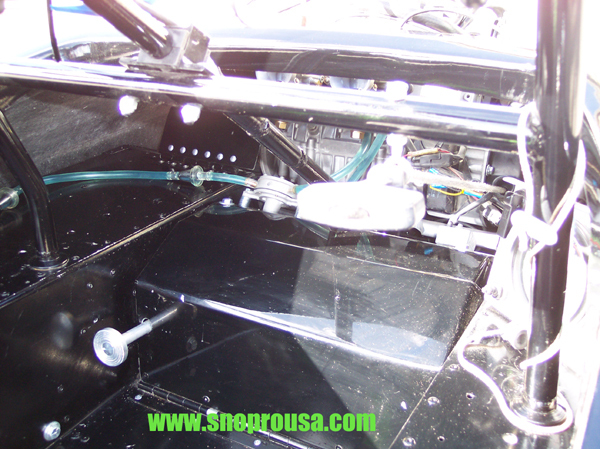 The round aluminum pedal shown on the left of the cockpit floor engages the left clutch. 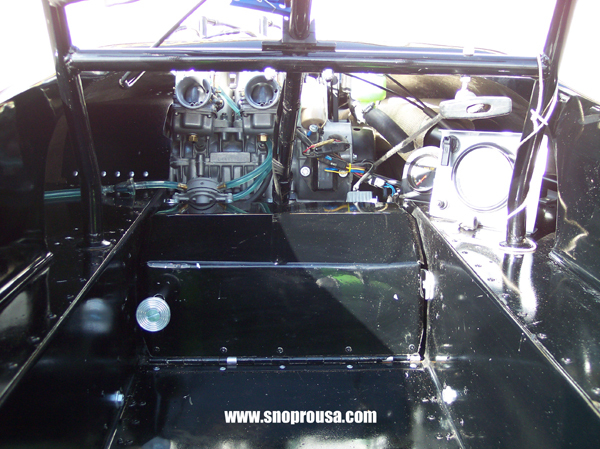 This stops the drive to the left track and permits it to corner eXtremely tight. 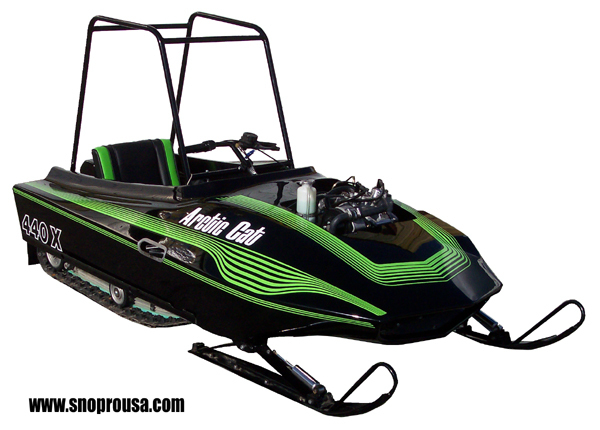 "You wanna hear this sled or what ?!" 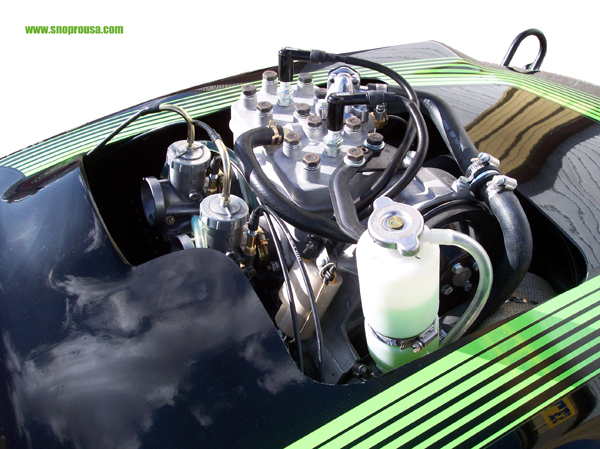 CLICK ON JERRY AND HIS 440X TO VIEW VIDEO CLIP. 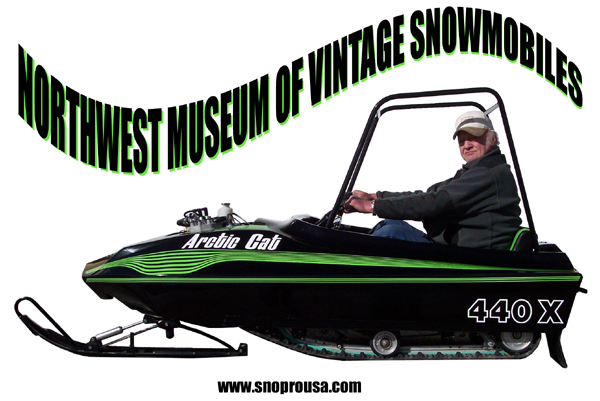 the Northwest Museum of Vintage Snowmobiles in Spokane, Washington. Call Jerry and schedule a time. TELE: (509)220-7091.